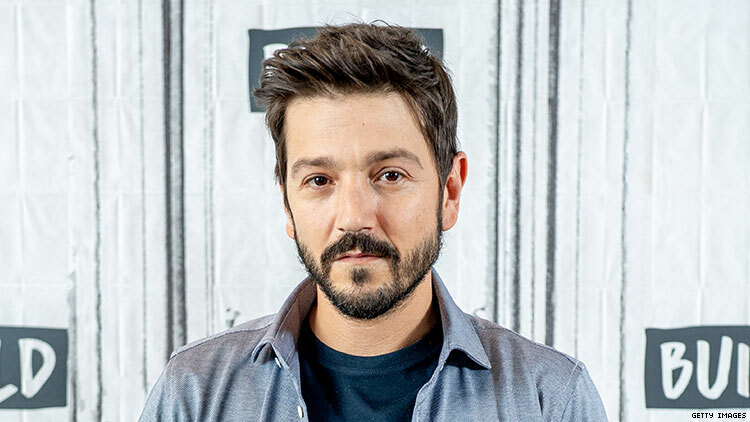 Update: The filmmakers of Berlin, I Love You and NewNowNext confirmed to Out on Friday that through a communications error, it was originally reported that Diego Luna would play a transgender woman. Instead, he is indeed playing a drag queen in the film. What follows is our original post. So, here’s the deal. Y Tu Mamá También actor Diego Luna is playing a transgender woman in a new film coming out called Berlin, I Love You, according to NewNowNext. My esteemed colleague and Out staff writer Harron Walker was going to write about this. But she changed her mind — and you know what, she should. Because we’ve had this conversation a million times already. So I guess it falls to me to tell you why this is bad. And I’m fine with that. Because all too often, it falls to trans people to do the unpaid labor of having to talk about the very frustrating phenomenon of cis people playing trans roles, again and again. As much as trans people — in or out of Hollywood — thread about these issues online, somehow no one is able to forward a link to the appropriate URL to the people in power in Hollywood. How many articles have embedded the infamous thread from trans actress Jen Richards, creator of the Emmy-nominated YouTube series Her Story? Here it is, by the way. Cis audiences reward them because they see being trans itself as a performance. Trans actors rather perform THE STORY, not our gender. In the thread, Richards breaks down how casting cisgender men to play transgender women perpetuates the myth that transgender women are men. The myth, Richards explains, dehumanizes trans people, reduces their gender to a performance and inevitably leads to more violence against trans women. So, despite trans people’s best — unpaid, again — efforts to educate as to why casting Matt Bomer as a trans woman or Scarlett Johansson as the transmasculine lead in Rub and Tug, here we are again. Oh, and if you want visual evidence of just how messed up this is: here’s a clip of Luna in the film. In the clip, Luna talks about sexuality and gender with a young Berliner who asks Luna’s character for a kiss and delivers the lines “You know what baby, technically right now, you’re in front of a woman,” and “It’s a little more complicated than that” without even a hint of this being, once again, not super duper OK.
Berlin, I Love You premieres in New York, Los Angeles and on video on demand Friday, February 8, but I think we can all safely pass on this one. To quote Harron, "You can't make me care about this!!!!"